 Klaus Neumann was born on 5 October 1923 at Wettin in the Saalkreis region of Sachsen. Unteroffizier Neumann began his combat flying with 2./JG 51 on the Russian front in May 1943. He achieved his first victory on 15 July. He was to record 12 victories over Russia. On 25 June 1944, 2./JG 51 was transferred to Germany where it joined IV./JG 3 becoming 16./JG 3 on 10 August. Neumann was particularly successful against the Allied four-engined bombers. Feldwebel Neumann was awarded the Ritterkreuz on 25 November and had it personally presented to him by Hitler on 9 December 1944. In January 1945, Neumann transferred to JG 7 in a staff position. Here he clashed with the unit’s recently appointed Kommodore, Major Theodor Weissenberger (208 victories, RK-EL). Shortly afterwards Oberst Johannes Steinhoff (176 victories, RK-S) and Oberstleutnant Adolf Galland (104 victories, RK-Br) approached him with an invitation to join JV 44. 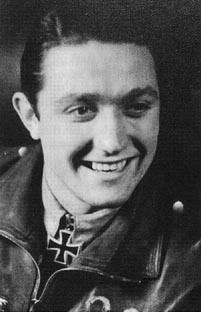 Leutnant Neumann gained five victories flying the Me 262 jet fighter. Klaus Neumann was credited with 37 victories achieved in about 200 combat missions. 12 of his victories were recorded over the Eastern front and he shot down 19 four-engined bombers. He was also credited with shooting down five enemy aircraft flying the Me 262 jet fighter.